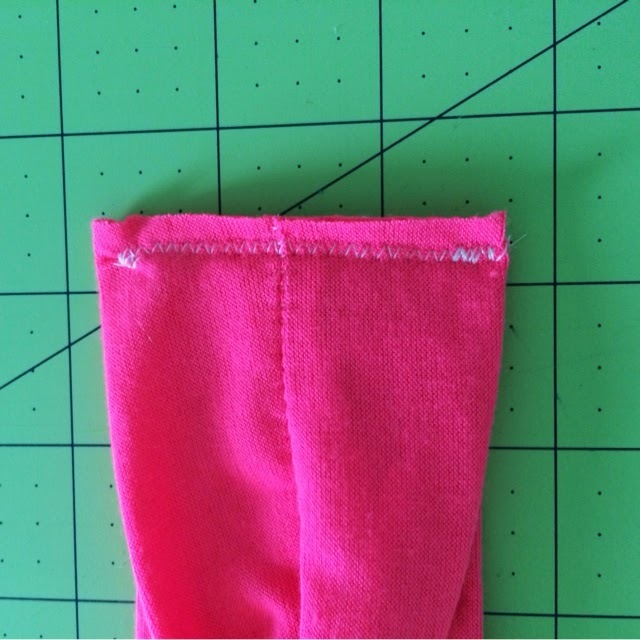 To get started, make sure you have your prepared fabric strip as shown HERE. 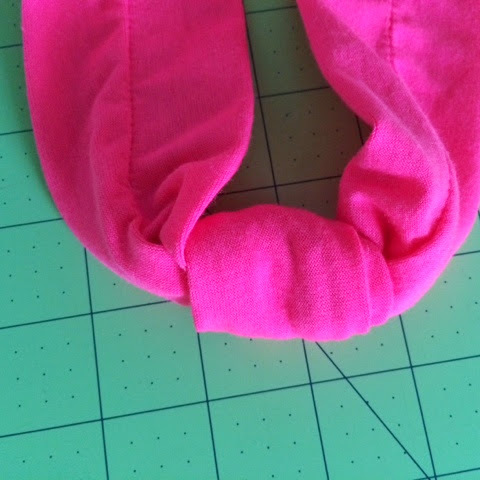 Take your strip of tied fabric and create a loop near the end. 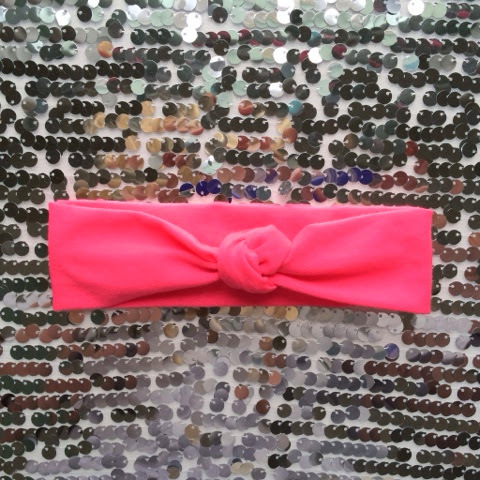 After you have created a knot the size you want, the fabric strip the appropriate length. 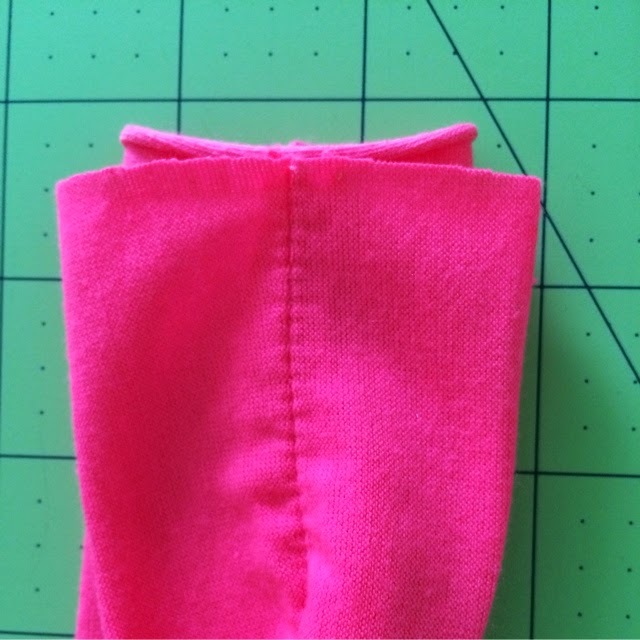 Line up the ends, with the seam side facing out. 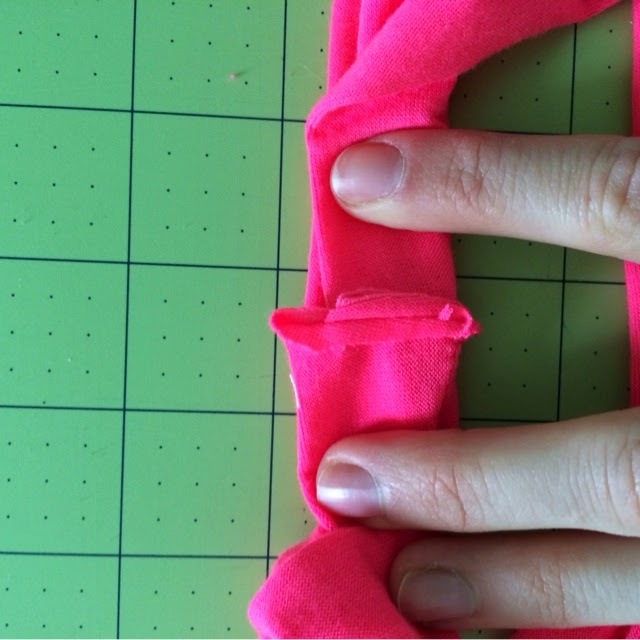 Sew a zigzag stitch to secure the ends. Make sure you backstitch to keep the stitch entact. 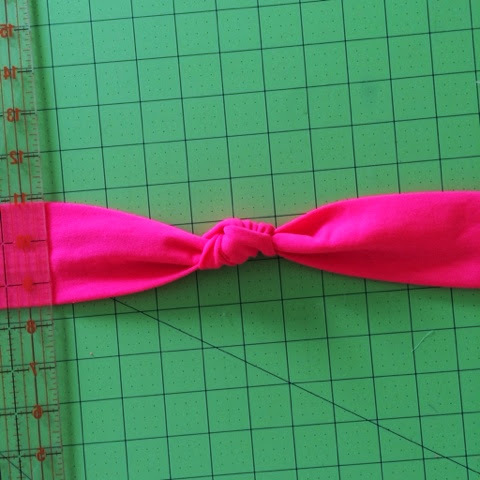 At this point, you will want to "slide" your knot down so that in covers the seam entirely. 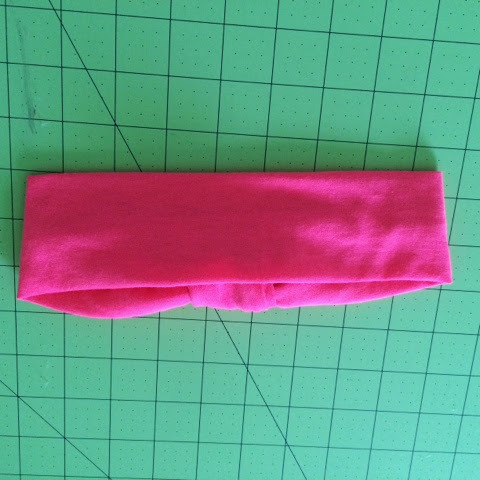 This will give the back of the headband a "seamless" look. Ta-dah! 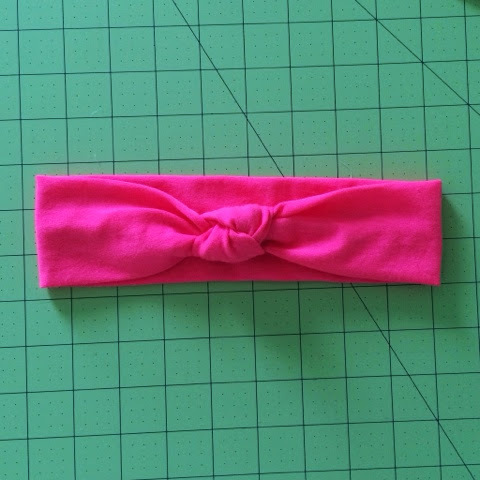 A cute, clean and simple headband. 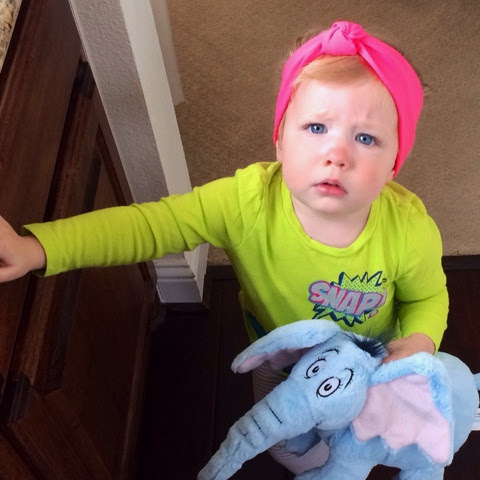 Click HERE for more headband tutorials.